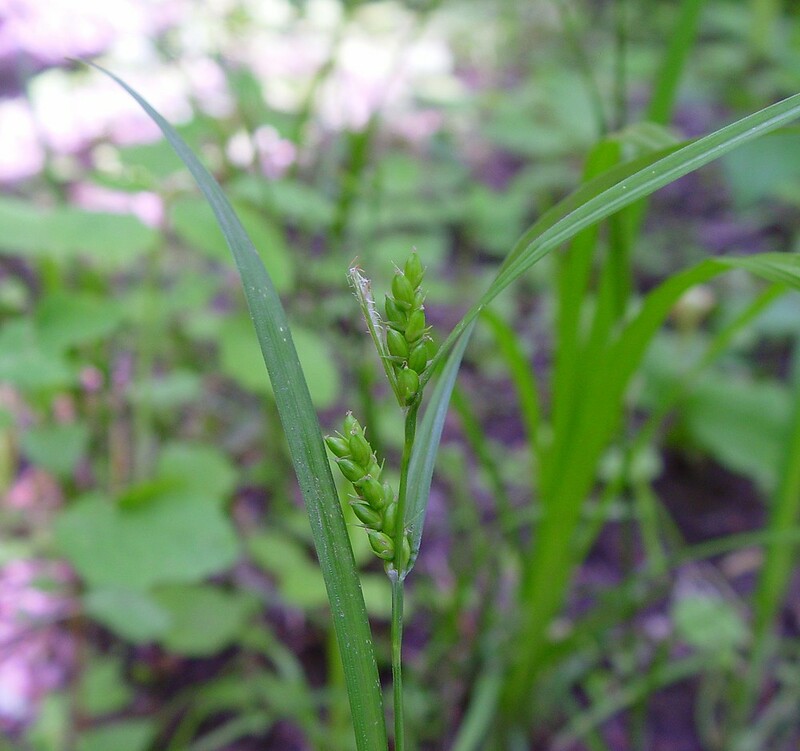 Eastern narrow-leaved sedge has been used for horticultural purposes, as it forms dense tussocks and has attractive shiny green blades. 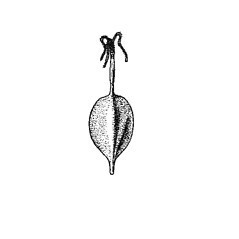 This species is found in Massachusetts and Connecticut, where it occurs in rich upland and riparian forests. perigynia circular or nearly so in cross-section, mostly 2-2.6 mm wide, and mostly 1.8-2.3 times as long as wide (vs. C. amphibola, with perigynia obtusely trigonous in cross-section, mostly 1.5-1.9 mm wide, and mostly 2.5-3.1 times as long as wide). 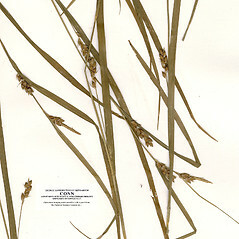 Carex grisea Wahlenb. var. 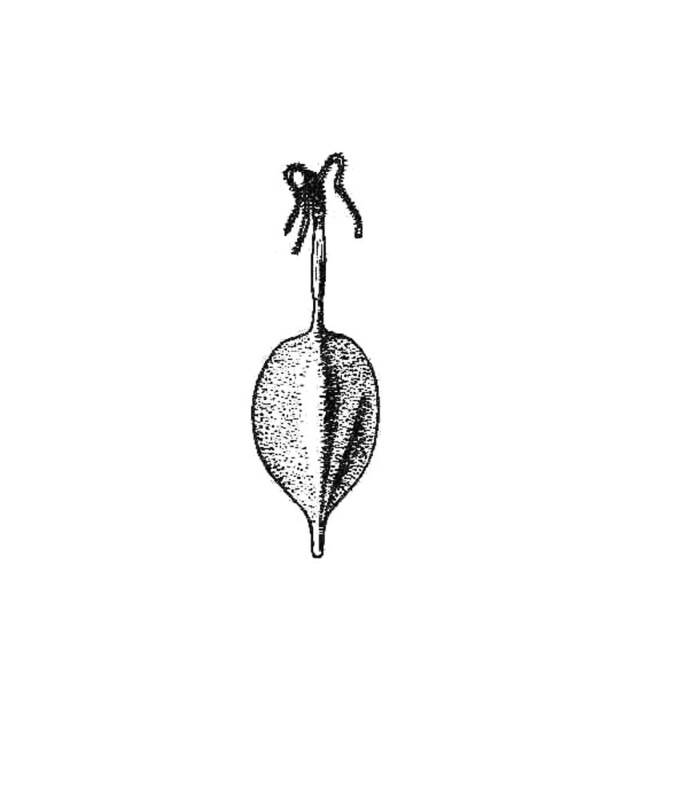 amphibola (Steud.) Kükenth. 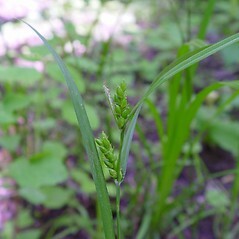 eastern narrow-leaved sedge. 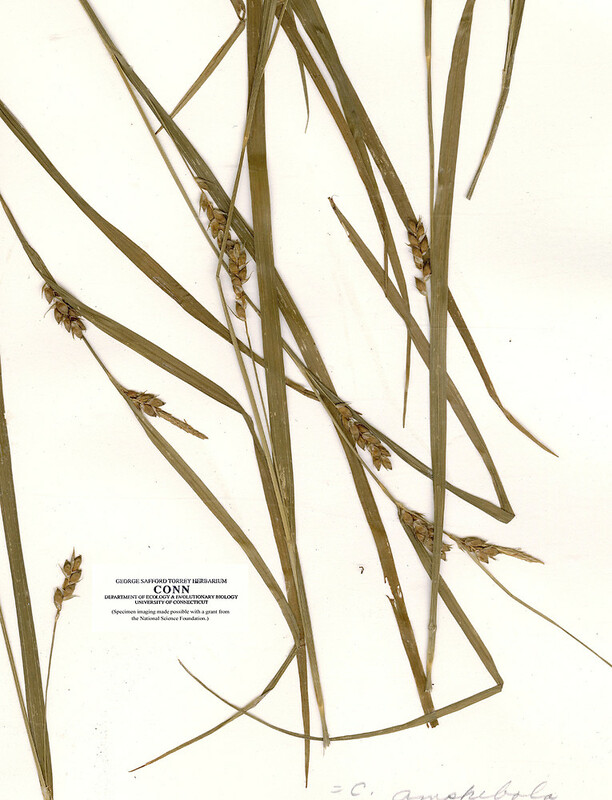 Carex grisea Wahlenb. var. amphibola (Steud.) Kükenth. 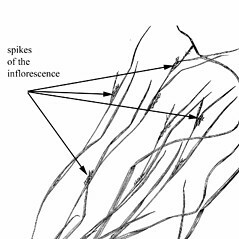 • CT, MA; also reported from NH by Seymour (1982), but specimens are unknown. Rich, deciduous, upland or riparian forests. 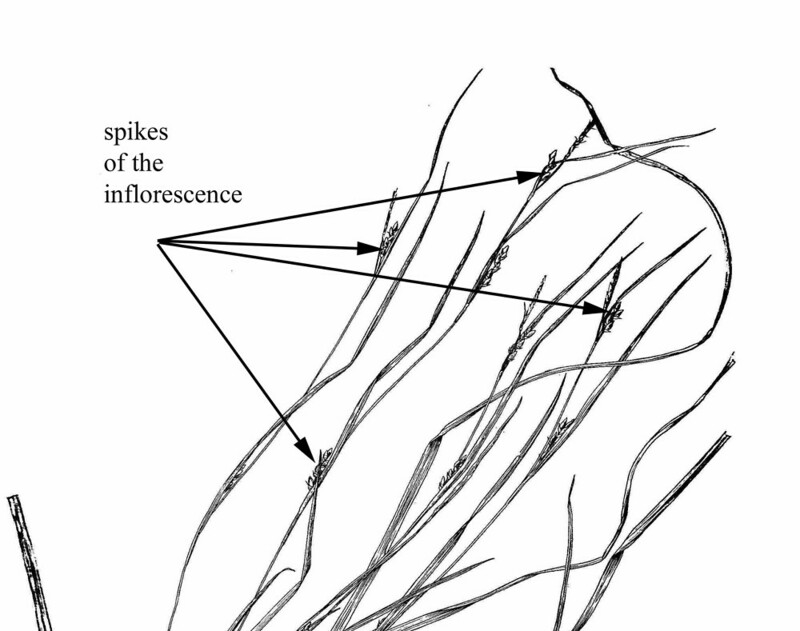 Reports of this species in ME, NH, and VT by Magee and Ahles (1999) are based on specimens of Carex conoidea and (mostly) C. grisea.